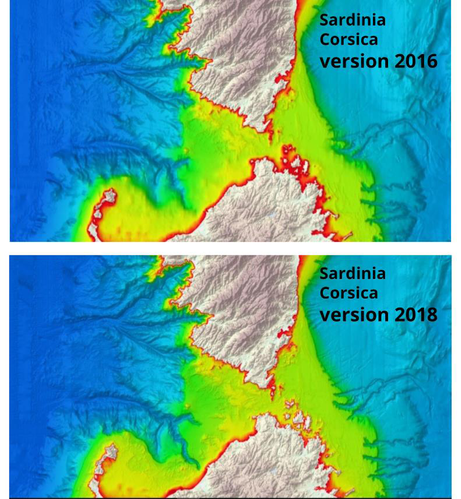 A new upgraded version of the EMODnet Bathymetry Digital Terrain Model (DTM) for the European Seas offers higher resolution, powerful 3D visualization functionality and extended coverage of Europe’s seas. 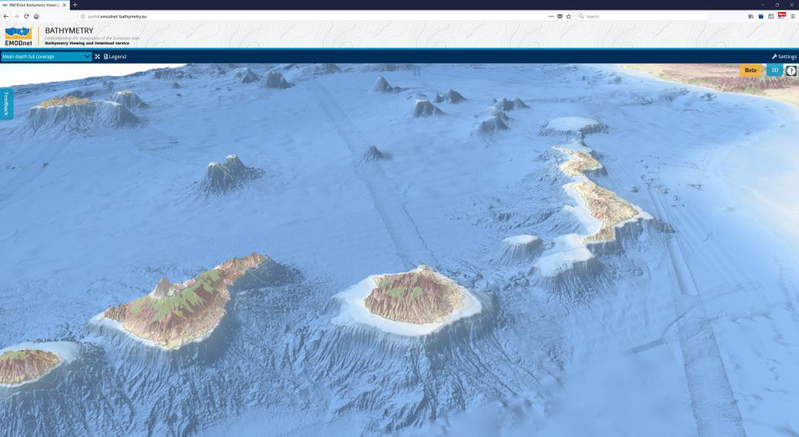 The recently launched bathymetry product is available free of charge for viewing and downloading, and sharing by OGC web services from the EMODnet Bathymetry portal. The EMODnet DTM is a tool used for a whole range of applications in marine science, sustainable ocean governance, and blue economy activities such as planning of pipeline trajectories, locations of offshore wind farms or planning of harbor extensions. In science, the DTM supports oceanographers in providing a base geometry for hydrodynamic models, marine geologists for studying morphological processes, and biologists in contributing to the generation of seabed habitat maps. An improved DTM also contributes to reducing risks for damage to coastal and offshore installations and public safety by improving our ability to forecast storm surges, for example. “We are proud of this new release which will help users to visualize bathymetric features with greater details. It will drastically improve their work, which relies on accessible and high quality bathymetric data,” said Thierry Schmitt from Shom (Service hydrographique et océanographique de la marine), the French Naval Hydrographic and Oceanographic Service, Coordinator of EMODnet Bathymetry. The inclusion of Satellite Derived Bathymetry data products, in particular for coastal stretches of Spain and Greece. First launched in 2010, the EMODnet Digital Bathymetry (DTM) has now become a reference for government, science and industry, being by far the most popular EMODnet product. Regularly visited by more than 10,000 persons per month with over 3,000 downloads per month, it provides the most detailed publicly available gridded bathymetry model for all European marine waters. The EMODnet DTM allows users to activate and view bathymetry layers as well as contours and underwater features for the selected areas. Among other functionalities, it is possible to zoom in/out, to switch on/off several layers, as well as to browse data and look up metadata about the underlying data source. Users can draw transects and retrieve the associated bathymetric profiles. With the ambition to refine further the quality and the accuracy of the DTM, considering both European offshore waters and coastal zones, EMODnet invites potential high-resolution bathymetric data providers to help generate an even better DTM product.